Jean Anne Baker is a Florida Licensed Home Inspector, License #HI414 and a Registered Professional Inspector with Florida Association of Building Inspectors (FABI). She holds a Master of Science degree in Education from Indiana University. In 1994, after educating public schools students in Indiana, Jean Anne moved to Port St. Lucie to open a business in Stuart. After fourteen years of running a successful home health care agency, the desire to transition into a down real estate market prevailed. Jean Anne sold her home health business and invested in foreclosures on the Treasure Coast. The process of inspecting, buying and renovating dilapidated properties soon lead her into a natural position to become a licensed home inspector. With over 10 years in the home inspection business, 7 years of teaching secondary math and science, and over 19 years of investing in real estate, she developed the perfect combination of experience to share with others the basic functions of their potential home purchase and items that may need to be maintained, repaired or replaced. Jean Anne Baker holds herself to higher standard and is bound to a strict code of ethics. This ensures quality service while providing important protections. 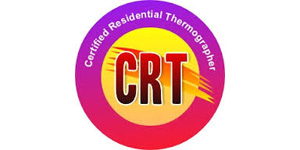 She is on the Board of Directors for the Florida Association of Building Inspectors (FABI), a Certified Residential Thermographer, a member of the St. Lucie Chamber of Commerce, is certified to teach the 120 hour home inspection course for licensing through All Florida Realty Schools and is a Field Instructor at Miami Dade College. Jean Anne Baker has inspected over 1500 homes and has performed over 5000 wind mitigation and 4 point inspections in Florida. Each inspection brings a new experience. Continued attendance at FABI conferences furthers her education and experience on how to be a better home inspector. Home Spec Solutions, Inc. covers the Treasure Coast and Nouthern Palm Beach County. All home inspections are accompanied by written reports that must be authentic and stand up to critical examination. 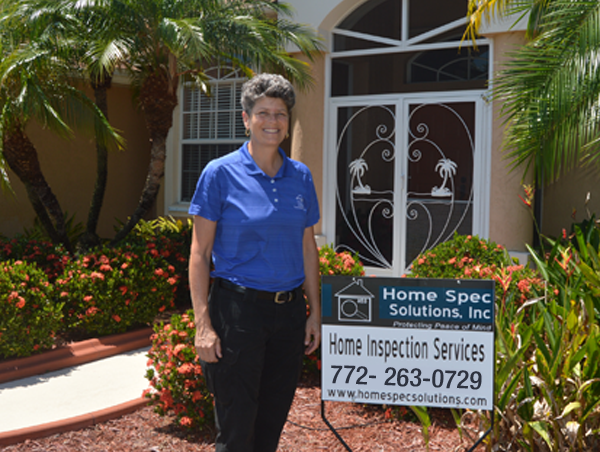 Jean Anne Baker and Home Spec Solutions, Inc. continues to build a stellar reputation one home inspection at a time to ensure you get the quality service you should expect. Areas Served: Port St. Lucie, Fort Pierce, Hutchinson Island, Palm City, Okeechobee, Hobe Sound, Jensen Beach, Sebastian, Tequesta, Indiantown, Vero Beach, Jupiter, West Palm Beach, Lake Worth, Wellington, Riviera Beach.